Issue no. 23 of Spaziofilosofico, which will be accessible June 30, 2019, will have “Pathology” as its theme. Several concepts today strongly need rethinking. Among them are certainly the concepts of nature, normality, and perhaps even health (these are concepts that may largely but not entirely overlap). Reconstructing these concepts is undoubtedly a gigantic undertaking; therefore, the proposal we put forth here is an invitation to contribute to their revision by examining a specific concept that appears to be their opposite, namely, pathology. The task is to tackle a specific concept that is capable of enlightening, by opposition, at least one aspect of the more general and fundamental concepts that we have just mentioned. This is not all, though. Being able to think of pathology is a test to ensure possession of concepts of nature, normality, and health that live up to the demands that are placed on them. As far as the concept of nature is concerned, we might in fact think of nature in terms of everything that exists or, at least, is not constructed by humans; from this point of view, a cold or cancer are as natural as any other organic process. In the case of pathology though, we encounter something natural that goes against nature, against physiological processes, and hinders, interrupts, and diverts them, leading the organism to destruction. Only if our concept of nature allows us to think of nature’s going against nature, that is, of an opposition of nature to itself, is the concept of nature not flattened out onto the mere hodge-podge of everything that exists. The same applies to the concept of normality: the possibility of thinking of pathology is what prevents reducing the concept of normality to a merely statistic concept; a pathological condition cannot in fact be considered normal simply because of its widespread diffusion. Finally, a serious reflection on pathology allows us to avoid reducing health to being the satisfied perception of the conformity between state of the organism and subject’s desires. Considering the concept of pathology allows us to recognize the existence of desires that are indeed pathological (for example, the desires of those who are anorexic, alcoholic, drug addicts, etc.). 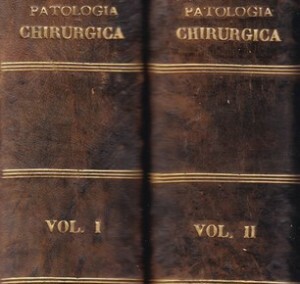 The concept of pathology forces us to consider that when speaking of nature, normality, or health we are referring not to something that is or exists out there but rather and above all to an ideal dimension or to an ought-to-be (this of course entails the risk that the institution of such an ideal may be due to a power that uses it for its own self-consolidation while banishing to the realm of the pathological everything that escapes its control). For this reason, examining the concept of pathology appears as a fruitful, even unavoidable way to engage in a rethinking, which appears truly necessary and urgent, of the concepts of nature, normality, and health. The journal welcomes contributions between 3,000 and 6,000 words in length. The deadline for contribution submissions is April 30, 2019. An abstract of approximately 250 words, and a short bio, with the indication of Author’s website/webpage is also requested. Submissions in all major European languages are welcome. For further information, see the page submit .